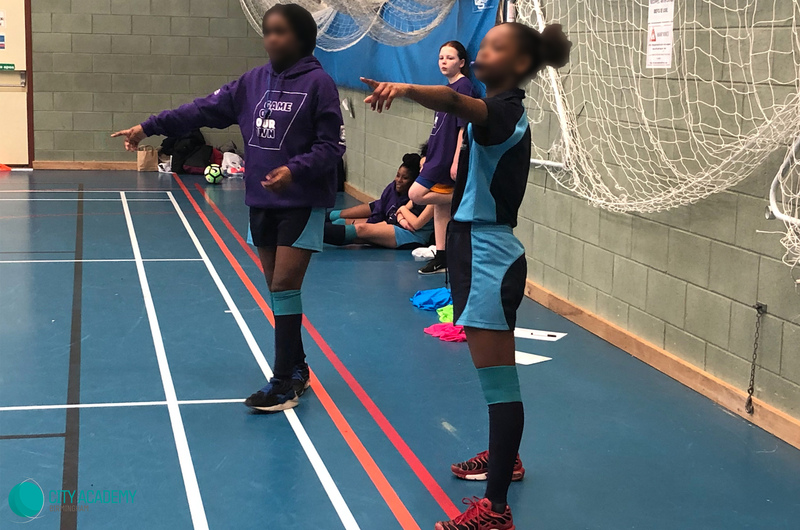 In the UK, data published by the NHS shows that only 20% of girls aged 5-15 meet the recommended amount of physical activity. Furthermore, only 18% of 11-12 year olds and 12% of 13-15 year olds meet the recommend amount. Embedding CORE Education Trust’s values of Collaboration, Opportunity, Respect and Excellence into their uncompromising focus on the development of character and communication within their students, City Academy are using collaborative opportunities with national sports bodies to engage and empower their students in sport. 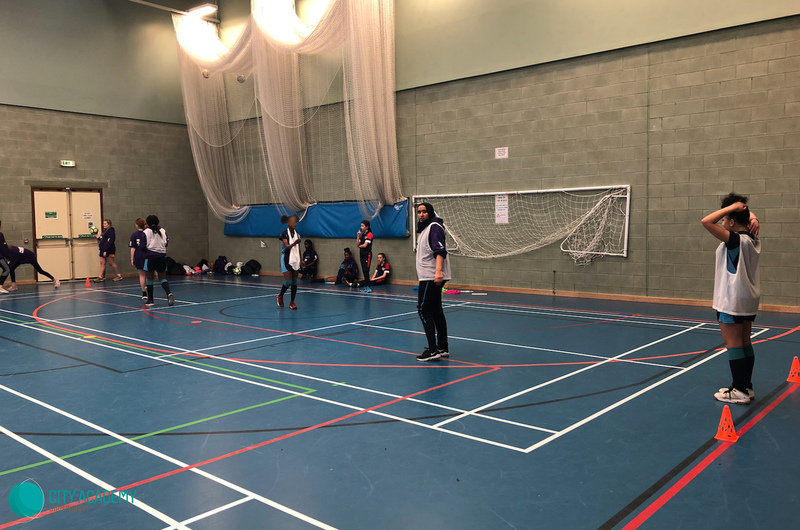 Year 8 and 9 girls from City Academy are taking part in the Football Association and Youth Sport Trust’s FA Girls’ Football School Partnerships ‘Game Of Our Own’ programme. The programme’s aim is to increase recognition of the value of PE in the development of life skills and character, increase enjoyment and participation in football and physical activity in and out of school, and enhance skills such as communication, creativity and leadership. 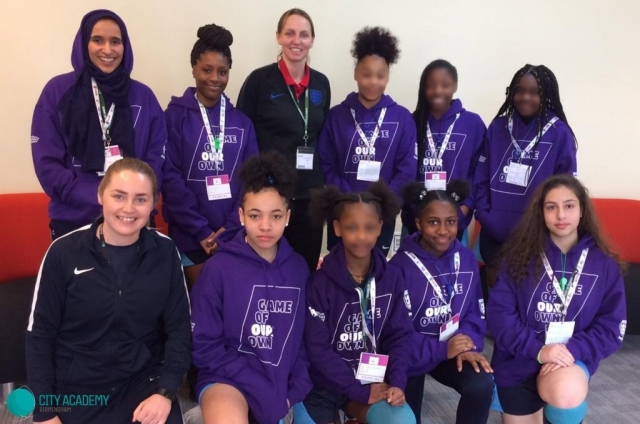 On Monday 4th March 2019, the girls taking part in the programme attended their first ‘Game Of Our Own’ training camp, where they became Football Activators and achieved their Youth Sport Trust’s YSA Go: Achievement award following the completion of a series of tasks. 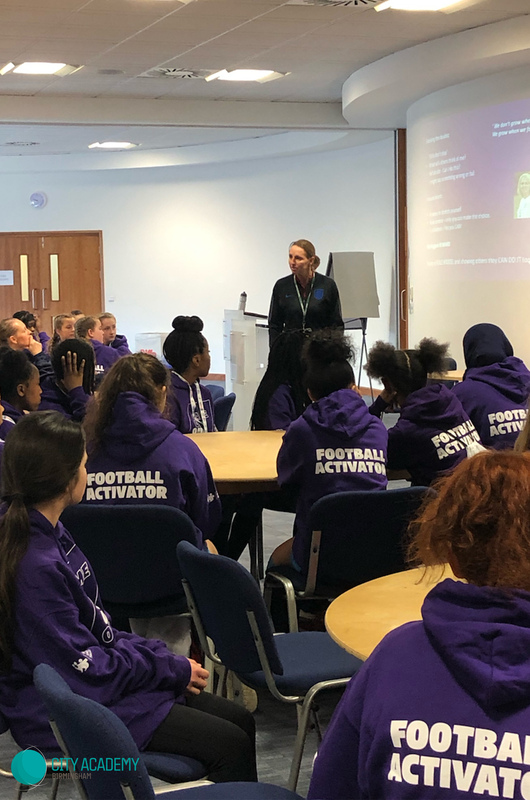 As part of the camp, the girls heard from England Women’s National Football Team’s longest serving captain and ex-Arsenal Ladies captain Faye White MBE, who delivered an empowering, inspiring and motivational speech to the students. Following the camp, the girls are currently creating their own club whilst working on achieving their full YSA GO award, which encompasses Wellbeing, Achievement and Leadership.